Sandon Capital is a highly skilled Sydney-based activist investment and advisory firm. Sandon targets superior investment outcomes for its clients through the extensive experience and skills of its management team in analysing and managing a diverse range of asset classes. 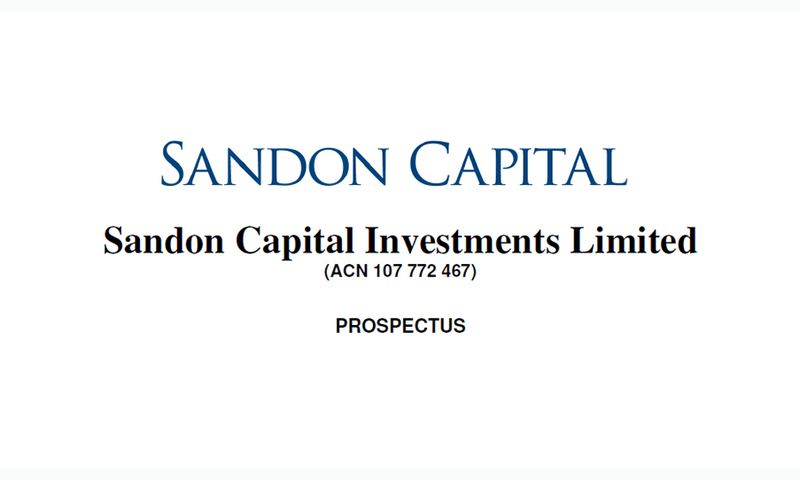 Sandon Capital is offering up to 100,000,000 Shares, each with an attaching Option (with the ability to accept oversubscriptions of up to a further 25,000,000 Shares and Options).